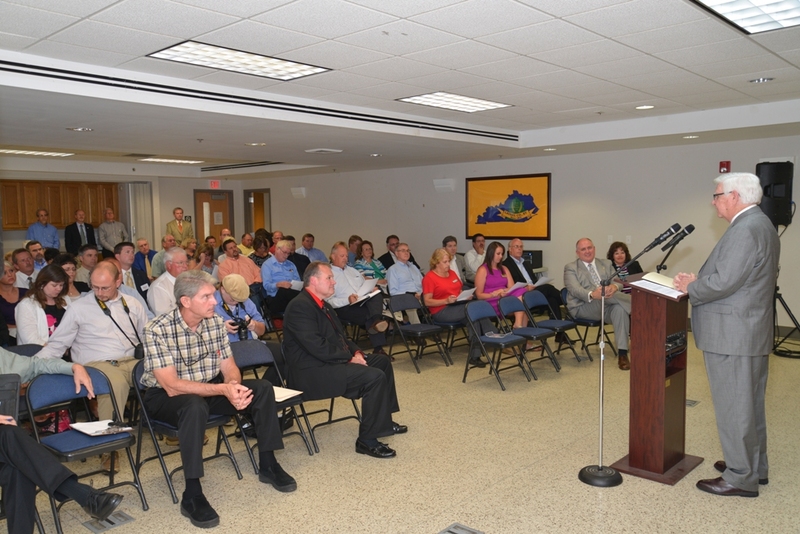 U.S. Rep. Harold "Hal" Rogers (KY-05) participated in a "Business and ObamaCare Roundtable" with the London-Laurel County Chamber of Commerce on Monday, August 5, 2013. Local business owners and insurance agents shared their concerns about the new "Affordable Care Act," also known as ObamaCare. "There is nothing affordable about the "Affordable Care Act" and that's why I have voted to repeal the law 40 times," said Rogers. "We're still waiting for a lot of answers about ObamaCare, but we know that insurance premiums in Kentucky are expected to increase somewhere between 65 and 100-percent; employers are already starting to cut full-time employees down to part-time; the law puts government between you and your doctor; and after all is said and done, 30 million Americans could still be uninsured." One hundred people attended the Chamber event, including local business owner, Shane Richmond from Wildcat Harley-Davidson in London, Kentucky. "We have been looking to expand," explained Richmond, who employees about 50 people in London. "We would like to open a store in Somerset, but we're pulling back until we find out how these laws will work." Under the current law, small business owners who employ 50 or more full-time employees, are required to provide healthcare insurance. In effort to slow down ObamaCare, the House Appropriations Committee, of which Rogers serves as Chairman, passed a bill last week that cuts the IRS budget by 32% and restricts the federal agency from utilizing any funding to enforce ObamaCare or collect penalty fees. 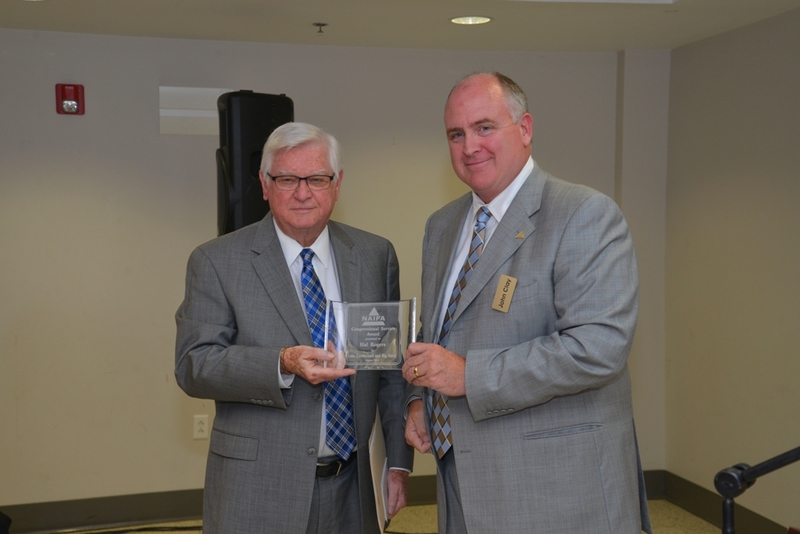 During the roundtable discussion, John Clay, of Better Source Benefits, presented Rogers with a Congressional Service Award from the National Association of Insurance and Financial Advisors (NAIFA). To receive updates about ObamaCare, visit www.halrogers.house.gov and sign up to receive Rogers' e-newsletters.